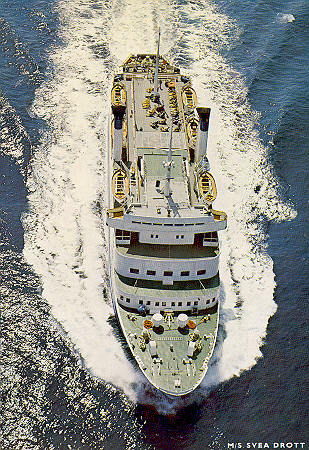 This page is devoted to postcards and photographs of the Scandinavian Ferry Lines vessel Svea Drott of 1966, which later served as the Sealink ferry Earl Godwin. Svea Drott was built for Stockholms Rederi AB Svea, Stockholm in 1966 by Ab Öresundvarvet, Landskrona. She entered traffic on the Trave-Line service between Helsingborg-Travemünde, later changing to Helsingborg-Copenhagen-Travemünde. In 1974 Svea Drott was bareboat chartered to Rederi Ab Gotland, Visby, for service between Visby-Oskarshamn. 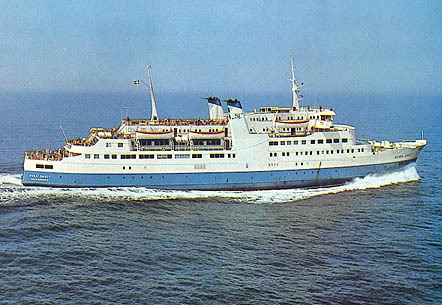 Svea Drott was then sub-chartered to British Rail/Sealink for their Weymouth-Channel Islands services, followed by purchase in 1975 and renaming to Earl Godwin. Whilst working predominantly out of Weymouth, she also operated for periods on Portsmouth-Channel Islands, Weymouth-Cherbourg and even Heysham-Belfast. 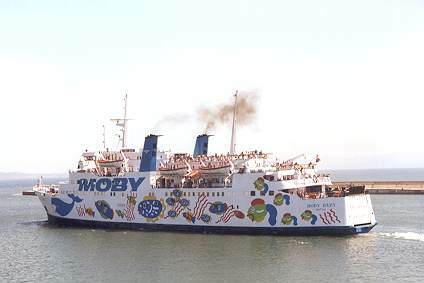 In 1990, Earl Godwin was sold to Moby Lines for use as Moby Baby between Piombino-Portoferraio (Elba). Svea Drott was built for Rederi Ab Svea, Stockholm in 1966 by Ab Öresundvarvet, Landskrona. She entered traffic on the Trave-Line service between Helsingborg-Travemünde, later changing to Helsingborg-Copenhagen-Travemünde. 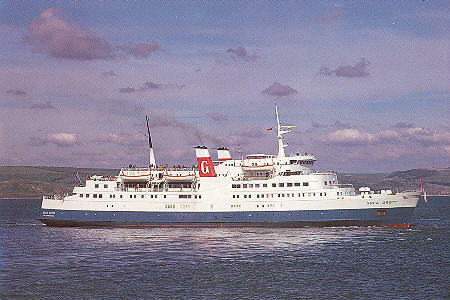 In 1974 she was bareboat chartered to Rederi Ab Gotland, Visby, for service between Visby-Oskarshamn. She was then sub-chartered to British Rail/Sealink for their Weymouth-Channel Islands services, followed by purchase in 1975 and renaming to Earl Godwin. Whilst working predominantly out of Weymouth, she also operated for periods on Portsmouth-Channel Islands, Weymouth-Cherbourg and even Heysham-Belfast. 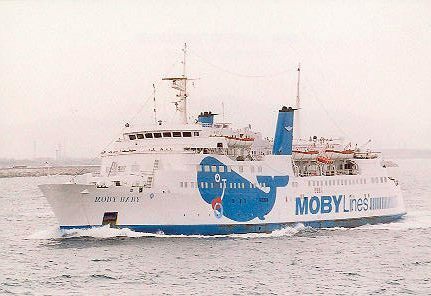 In 1990, Earl Godwin was sold to Moby Lines for use as Moby Baby between Piombino-Portoferraio (Elba). 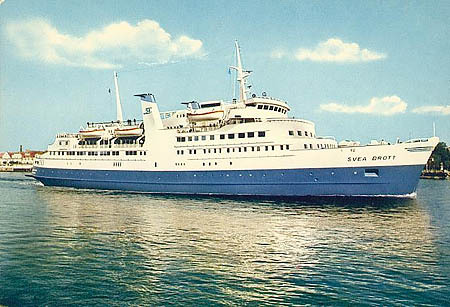 Official Trave-Line (Scandinavian Ferry Lines) postcard of Svea Drott. Schöning postcard Tra677 of Svea Drott. 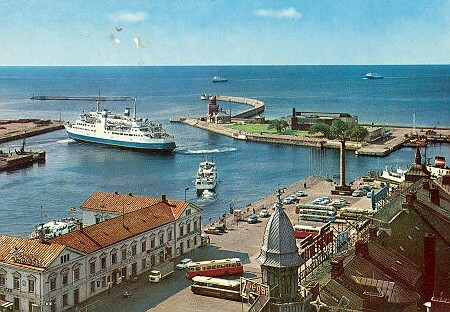 H.Håkansson postcard 965/23 of Svea Drott at Helsingborg. A.Duncan photographic postcard of Svea Drott. Ramsey postcard 64 of Svea Drott, sub-chartered from Rederi AB Gotland to British Rail for service between Weymouth and the Channel Islands. 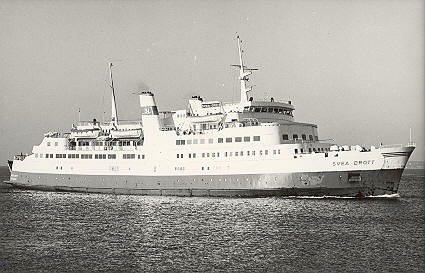 In 1974, Svea Drott was bareboat chartered to Rederi Ab Gotland, Visby, for service between Visby-Oskarshamn. She was then sub-chartered to British Rail/Sealink for their Weymouth-Channel Islands services, followed by purchase in 1975 and renaming to Earl Godwin. Whilst working predominantly out of Weymouth, she also operated for periods on Portsmouth-Channel Islands, Weymouth-Cherbourg and even Heysham-Belfast. 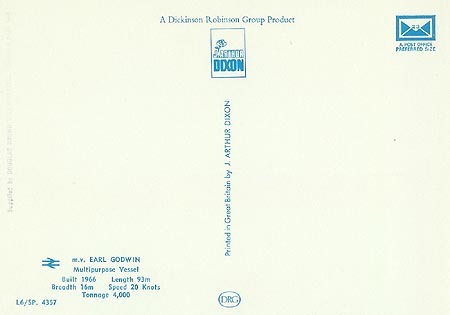 In 1990, Earl Godwin was sold to Moby Lines for use as Moby Baby between Piombino-Portoferraio (Elba). 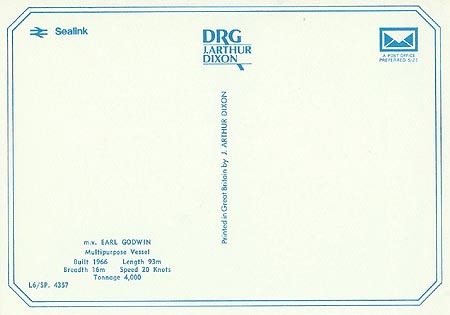 Sealink postcard of Earl William, in original Sealink (British Rail) colours. Moby Baby was built in 1966 as Swedish ferry Svea Drott. 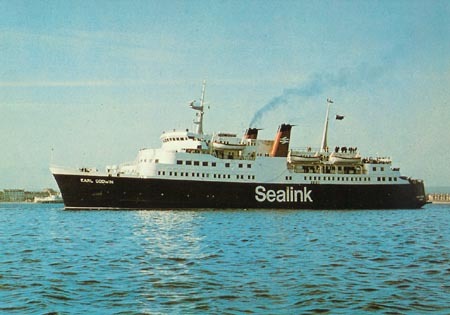 She then served as the Sealink ferry Earl Godwin, until purchase by NAVARMA/Moby Lines in 1990. She remains in service on the Elba-Piombino route. 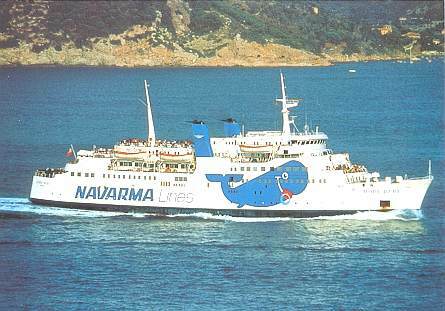 This is the only official NAVARMA or Moby Lines card of any ship that I have come across so far (maybe the introduction of the superferries Moby Wonder and Moby Freedom in 2001 will inspire them to issue some more). The card was published by Mario Mercantelli on Elba, serial number 19245. Simplon Photographs issue isp1003 Moby Baby shown off Piombino in 1997 by Ian Boyle. In 2000, Moby Dream had received the dreaded hull 'artwork'. This photo was taken at Piombino in August 2000 by Ian Boyle.